Here is a DVD Studio Pro tutorial to give some tips for selecting an appropriate DVD transition. 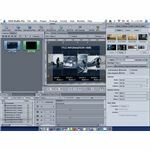 When DVD authoring in DVD Studio Pro you will find that including transitions between menus, tracks, and other menus is part of creating a complete DVD. These animated transitions bring the menus to the track in a way that continues the flow and theme of the DVD menus. Since the entire format of the DVD itself is designed to continue the overall theme set up by the film itself. This means that everything in it, from the media to the menu visuals, should continue these themes. The menu transitions themselves are part of this too, so here are a few tips for choosing the right transitions for your DVD menus. The first thing that must be observed when applying DVD menu transitions in DVD Studio Pro is that simplicity is still going to be important. 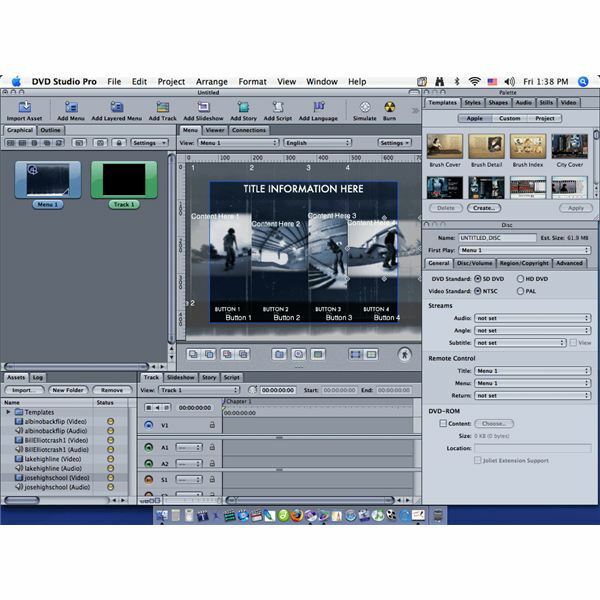 The DVD menu transitions in DVD Studio Pro are relatively standard and stock. This means that they are used quite often and easy to see whenever anyone is watching them. This can actually make them look cheap and somewhat amateurish if the animation is too complicated. It will also take the attention of the audience when they should be more focused on the video that is about to come on the screen. To avoid this you should try to dial into menu transitions that are both simple and fluid, that way they remain intuitive for the transition from the menu to the video. This is a similar principle when adding video transitions in non-linear digital video editing programs like Final Cut Pro 7. Maintaining the visual consistency and themes of the film throughout the DVD is difficult. Extending themes is even more difficult when you are using menu templates, which is why you should likely start from scratch by designing all of these in an outside program an importing them in. Make sure that the transitions that you use will continue these themes if possible, or at the very least will not go in opposition to this. For example, if there is a water theme of any sort in your film it may be a good choice to focus in on a DVD transition that will appear as a wave or swirling water. This may be too animated for a serious film project, but may fit well for a comedy. There is no reason to put transitions on absolutely every single menu. This can become overwhelming for DVD users and it since you can end up running out of transitions that you will actually want to use it can appear repetitive. DVD transitions will also slow down access of the disc, so you may want to only use them when transitioning from a play button to a track. You can use it from menu to menu, but try out the disc before making a decision to see if this feels intuitive before authoring your DVD.